Sign in to Secured Signing and navigate to the My Signatures page. Decide which option you prefer to create your signature. 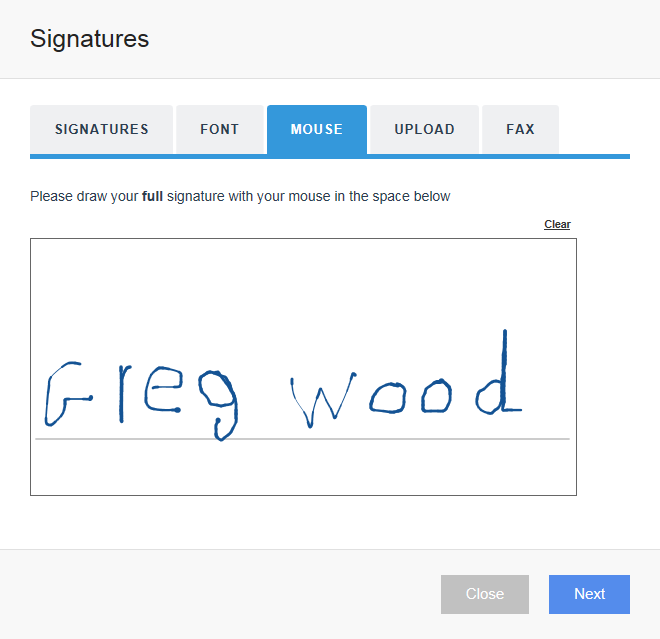 You can use one of our signature fonts, draw your signature on the screen with the mouse, upload a scanned image of your signature or fax us your signature and we'll scan / upload it for you! 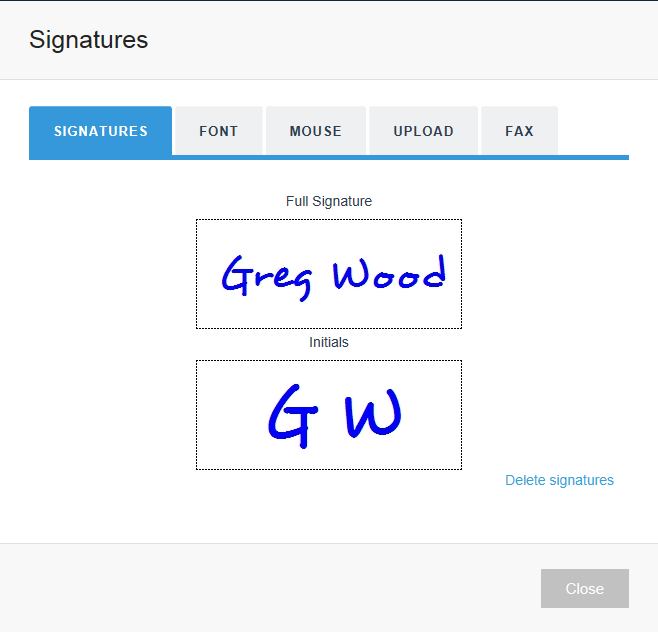 Click the Font button to display a popup with different signature font options provided by Secured Signing. This method uses your full name and initials as provided by your user details and can be a quick and easy option for new users. Using your computer's mouse you can draw your full signature and your initials signature on the screen. This is especially useful for people with pen-signing computer peripherals. 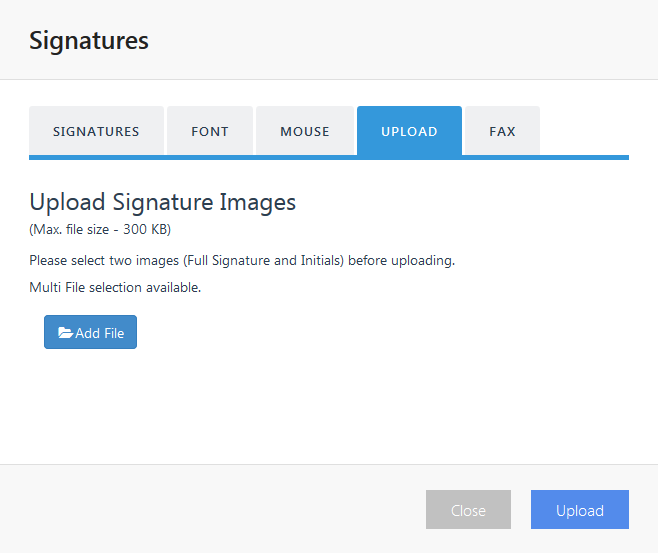 You can upload your own image or scan of your signature using the signature uploader. The image to upload must be .bmp or .jpg and less than 30kb filesize. 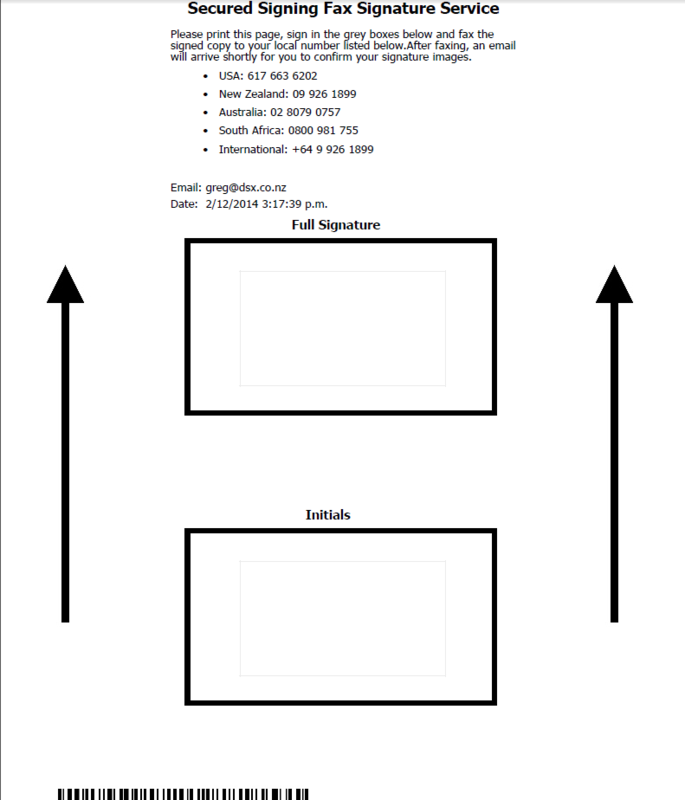 Print a special barcoded form, sign your signature on the space provided and fax it to us! We'll scan and upload your signature for you!